… Topper vinna slaget om banden på 2015/11/28 ! It was Topper and actually Topper only that made my choice easy for a crowded Saturday: Motorhead should have been in town (but the show got canned, surprisingly not because of Lemmy being ill), Razors and Razzia graced Yacøpsae’s 25th anniversary show at the Martkhalle, OXO86 next to door at the Monkeys and a couple of more shows where combined with Adicts at the Fabrik. But once Topper where announced as support i was „all-in“ for that date – and it was a good choice. 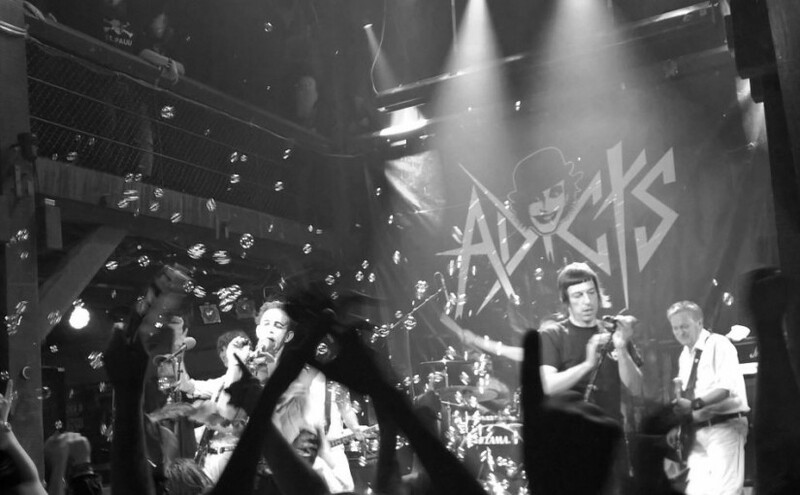 And i was not alone, a couple of other Oldpunks where in it for Topper too, having seen the Adicts too often and luring for new and rare stuff – and Topper are rare for Hamburg, they only played the Molotov once many years ago. From the start they where tight, all-in and – i do like that – properly dressed in a Topper stage uniform. Well done for that. And what did we get? 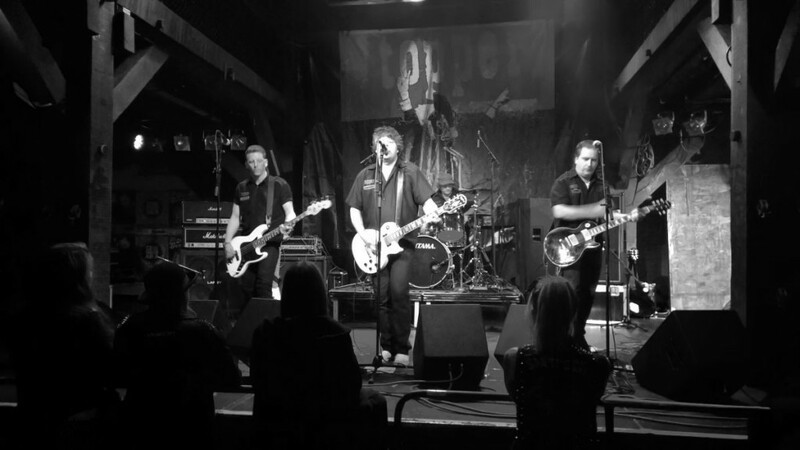 We got best in class 77 punk rock with a scent of Clash and a dose of SLF (and, in all honesty, a lead singer that looks like the illegitimate son of Jack Burns). Great stuff, including their hit single „Once a Punk, always a punk“ and they got a surprising good reception from the „under-21“ part of the audience too. And, speaking to them after the show, generally nice guys. On side sideline: The heavy Swedish ascent on the English lyrics actually works neat – broad smile on my end! 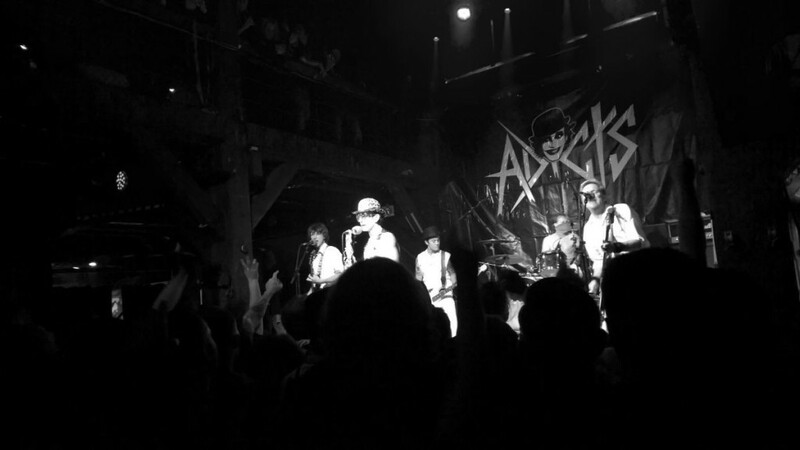 And that gave way for the Adicts, now in front of an almost full house and plenty of younger fans in the front (and most of them well styled). 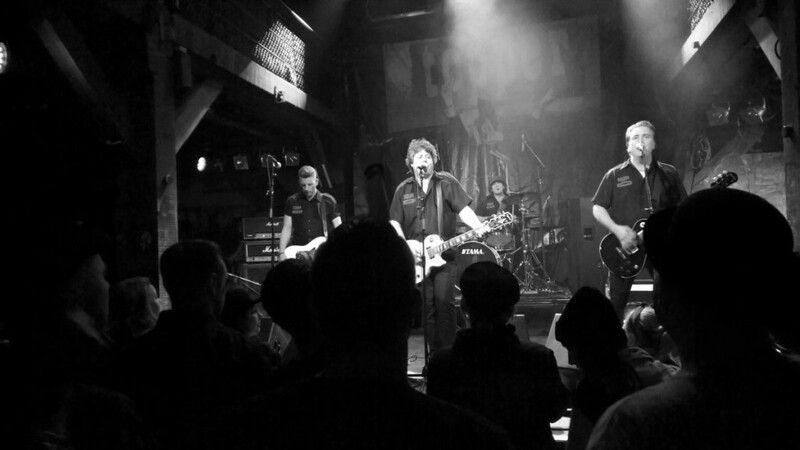 Prior to the set Monkey did roam the Fabrik and was not shy of taking pictures with fans sans makeup – now all of them in standard stage attire. Monkey even did remember that it was a long time ago that they played this venue in Hamburg – i can help, i was there: It was 14.03.1984 and i do remember the show as we had a couple of beers with the band prior to that show. And Toni did tape it. 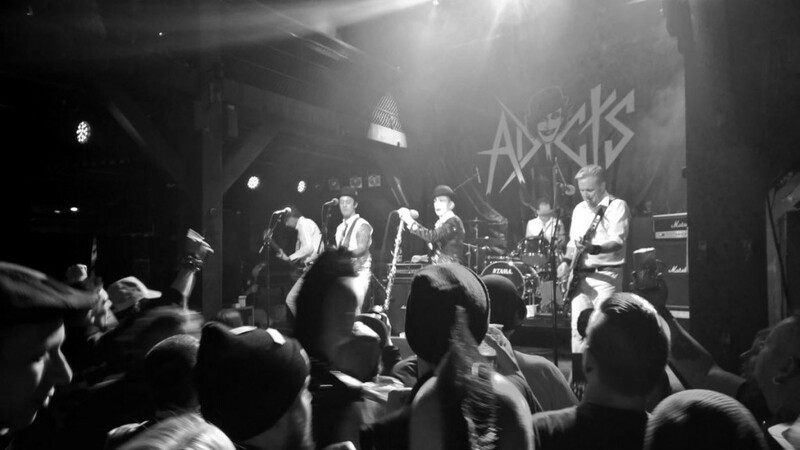 The Adicts did what the Adcits do best (and quite successfully our there in the US of A): They did throw a kids party underpinned by some good tunes and some not so good tunes. Solid entertainment with a unique selling proposition. The sound was a wee bit odd (as always for me in the Fabrik, hence i do not like it there too much) and they had some amp hickups. But, ever the good entertainment machine, they worked it and kept the balls in the air (literally). Was it worth it? Yes it was, for Topper and all these fancy show elements of the Adicts. And for all the friends i was able to met and talk to. Pity though that i stayed away from Booze (just one beer after the show to quench my thirst) in order to be sober for the FCSP home game next day. Given that 0:4 home loss i should have gotten rather wasted ahead of the game! Those who did are most likely the winners of the weekend … again literally! Zurück Vorheriger Beitrag: … and another great gift indeed! Weiter Nächster Beitrag: … de-integration? bad choices? what a naughty 0-4 at home!